Lanre Barake reports about "a new kind of jazz coming out of the UK at the moment", a mix of "jazz with grime, jungle and house" that creates "a sound that works on dance floors and festivals, as well as in jazz clubs". 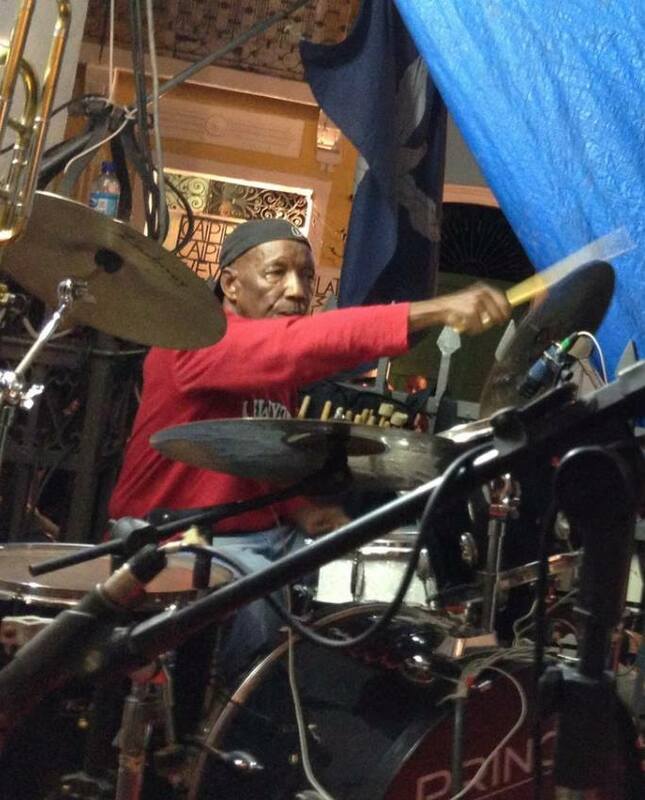 Barake also talks to the drummer and bandleader Moses Boyd who emphasizes the role of streaming sites and online radio for bringing "this new breed of jazz to a wider population" and stresses that he doesn't care whether purists might or might not call his music jazz, because for him "jazz is about creative freedom" ( The Guardian). --- Mathias Bäumel recounts the history of the Jazzclub Tonne in Dresden, Germany, which was founded 40 years ago as a formal association of a group of jazz fans within the Dresden Kulturbund federation and soon organized concerts and sessions in different venues before they were offered a cave (a barrel vault = "Tonnengewölbe") to organize concerts of everything from traditional to free jazz. After reunification the supporting association was re-chartered; the new club established a fall festival in addition to the regular concerts. Economic problems caused another restart in 2002, however, water damage forced the organizers to close its long time venue but also allowed them to move back to their original location under the Kurland Palais in 2015 ( Dresdner Neueste Nachrichten ). Rob Garratt talks to the Lebanese pianist, based in the United Arab Emirates, Tarek Yamani about the connection between the folk music of the Gulf region and jazz being Africa, about his own kind of music which he calls "Afro Tarab", as well as about his childhood in Beirut in the 1980s where because of the imminent danger his piano teacher eventually refused to come to his family's home ( The National). --- Sarah Aswell talks to the saxophonist Brad Leali about informal lessons with Denver saxophonist Billy Tolles had shaped his musical aesthetic, about what it takes to find one's own sound, about teaching being an important and satisfying part of his professional life because the students ideally learn as much from it as the teacher ( Missoula Independent). James Karst reports about New Orleans one-hundred years ago when jazz was not held in high esteem as it is today. He looks at his own newspaper's stories covering the jazz scene of the early 1920s, finding clichés and racist caricatures, arguing that an especially odd review from Tom Anderson's cabaret from February 1922 might very well describe a set by the young Louis Armstrong, only a few months before he boarded the train to join King Oliver's band in Chicago. Karst also explains that according to evidence this train journey might have been in late July rather than on 8 August, as most books about Armstrong (and the maestro himself) have it ( New Orleans Times-Picayune). --- David Gonzalez reports about how culturally vibrant the Bronx once was. He explains efforts to help musicians retain affordable housing as gentrification has led to rising rents. Gonzalez talks to Nancy Biberman of Whedco, a nonprofit housing end economic development group in the Bronx, about the lack of affordable housing for aging musicians, to the late Dave Valentin's manager Richie Bonilla about the reality of many sidemen working non-musical day-jobs, as well as to the pianist Valerie Capers about the fact that just to organize benefits for musicians in need of help can't be the solution ( New York Times). 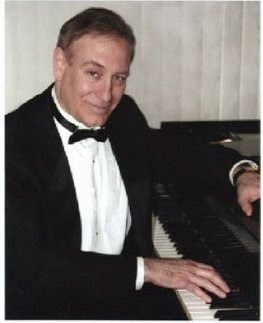 Philip Watson talks to the pianist Marc Copland (pictured above) about the tendency of pianists to play fast, about the importance of the piano sound, about early influences on the saxophone such as Paul Desmond, John Coltrane and Jimi Hendrix and his switch back to the piano when he was in his mid-20s, as well as about taking up the stage name Copland because of his love for the composer Aaron Copland ( Irish Examiner). --- We read a conversation with the South African trumpeter Roy Sokuyeka about his start in jazz, about how he picked up the trumpet by chance because an older musician presented him with it, as well as about his move to Cape Town in 1964 where he continues to perform, now together with his youngest son, the trombonist Stephen Sokuyeka ( News24). Reiner Kobe talks to the German clarinetist Michael Riessler about the music he wrote to accompany the 1918 silent film "Der rote Halbmond", about the freedom of developing a parallel dramatic curve through the music and thus helping to restructure the shortened film which in its original version lasts for four hours ( Badische Zeitung). --- A.O. Scott sees Kasper Collin's film documentary "I Called Him Morgan" about Lee Morgan's life and death which includes excerpts from an interview with Helen Morgan, the trumpeter's wife who shot him in a Manhattan nightclub in February 1972 ( New York Times). Michael Kaplan talks to Larry Thomas, the North Carolina professor who had met Lee Morgan's wife Helen attending one of his lectures and convinced her to be interviewed about her life and relationship with the trumpeter ( New York Post). The film historian Cynthia Fuchs gives a more filmological analysis of the documentary, pointing out that it is both about the story of Lee and Helen Morgan and about storytelling in general, about "how different strands come together and fall apart, how listeners participate in that process" ( Pop Matters). 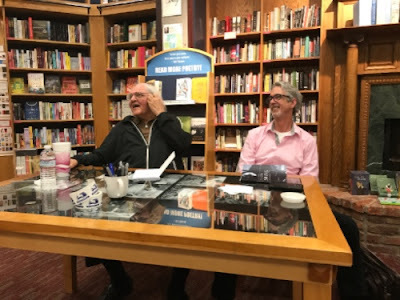 Michael J. Agovino talks to the film's director Kasper Collin ( The Village Voice), as does Leonard Lopate in a radio broadcast in which Lopate and Collin are joined by the bassists Paul West and Larry Ridley ( WNYC). Nick Schager sees the documentary as well ( The Daily Beast). Julia Oller talks to the saxophonist Joshua Redman about the reaction of his father, the late saxophonist Dewey Redman, when he learned that his son wanted to become a musician as well, about his project "Still Dreaming" in which he pays tribute to the older Redman's quartet Old and New Dreams, as well as about jazz being very much alive yet not being "click-bait music" ( The Columbus Dispatch). --- Bruno Pfeiffer talks to the Swiss pianist Colin Vallon about drawing inspiration from human nature, about the influence of Brad Mehldau's piano style and the importance of Johann Sebastian Bach's music for his own musical development, as well as about some of the other things he listens to, from contemporary composed music, the history of jazz piano, to Bob Dylan, Leonard Cohen and Tom Waits ( Libération). Preeti Singh talks to the Polish vocalist Anna Maria Jopek (pictured above) about characteristics of Polish music such as a lyrical sound, Polish folk scales and folk harmony, about the influence of her father, the opera singer Stanislaw Jopek, about the significance of jazz in world music, about her approach to the creative process, about performing together with famous jazz and pop artists as well as about her concerts in some of the most prestigious halls and how any type of venue can inspire her ( Sunday Guardian Live). --- Rob Garratt talks to the trumpeter Wynton Marsalis about the suffering every artist lives through, no matter how successful he or she may be, as well as about his own musical conservatism which, as Garratt writes, "is not a mindset or aesthetic preference, [but] more of a quasi-religious belief" (The National). Heinrich Oehmsen hears Ron Carter and Richard Galliano at Elbphilharmonie in Hamburg, Germany ( Hamburger Abendblatt). --- The German secretary for culture and media Monika Grütters explains her position on a possible House of Jazz in Berlin ( Berliner Zeitung). --- Brent Chittenden remembers receiving as a gift Pat Metheny's "Zero Tolerance for Silence" and how he never got around to understand it even a bit, making it "the worst sounding album" he owns ( A Journal of Musical Things ). --- Marc Myers remembers the pianist Oscar Dennard ( JazzWax). --- The Swiss saxophonist Bruno Spoerri will receive the Swiss Jazz Award ( Luzerner Zeitung). --- Hedy Weiss ( Chicago Sun-Times) and John von Rhein ( Chicago Tribune) hear Daniel Schnyder's opera "Charlie Parker's Yardbird" in Chicago. We read another obituary about the Dutch pianist Misha Mengelberg who had died at the age of 81 ( New York Times). --- We learned of the passing of the German trombonist and clarinetist Adolf Georg Klapproth at the age of 88 ( Mittelhessen gedenkt), the drummer Rudy Lawless at the age of 84 ( New York Amsterdam News ), the sound engineer Jim Czak (head of Nola Studios, in NY), the German trumpeter Günter Bochow at the age of 75 ( Märkische Oder Zeitung), the guitarist and singer Chuck Berry at the age of 90 ( New York Times , New York Times , The New Yorker; we enjoyed this film clip showing him with Jack Teagarden and Jo Jones, Newport, 1959, Rolling Stone), the French producer Gérard Terronès at the age of 76 ( Le Monde), the blues harmonica player James Cotton at the age of 81 ( New York Times), the pianist Bill Bell at the age of 80 ( Quad City Online, Quad City Times), the pianist Roy Fisher at the age of 86 ( The Telegraph), the saxophonist Buck Hill at the age of 90 ( dcist, Washington Post), the Armenian pianist (and cigar-maker) Avo Uvezian at the age of 91 ( The Armenian Weekly), the radio host Steve Schwartz at the age of 74 ( New England Public Radio), the producer Bob Erdos (Stomp Off Records) at the age of 86 ( Legacy), the saxophonist Arthur Blythe at the age of 76 ( Do the Math), the German musicologist and baritone saxophonist Ekkehard Jost at the age of 79 ( WDR, JazzZeitung, Frankfurter Rundschau, Giessener Anzeiger), as well as the producer Tommy LiPuma at the age of 80 ( San Francisco Chronicle , New York Times, Jazz Station Blog). We mourn the passing of our colleague and friend Ekkehard Jost who died last Thursday (23 March 2017) at the age of 79. Ekkehard Jost was the doyen of jazz research as a musicological field in Germany, a representative of systematic musicology whose books and analytical insights changed the discourse about jazz and improvised music far beyond our country. His book on "Free Jazz" (1975) which earned him his professor's title was the first academic publication going deeply into this music. His "Social History of Jazz in the USA" (1982) remains one of the best studies of how jazz history has to be viewed in the context of social reality. His "Europas Jazz, 1960-1980" (1987) was exemplary in analyzing how European jazz found its own directions. He was one of the main researchers behind the 1988 exhibition "That's Jazz. 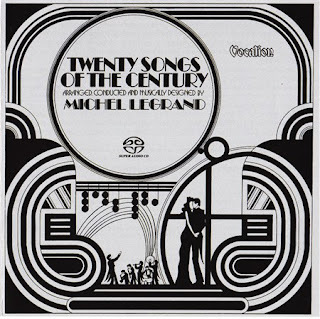 The Sound of the 20th Century" which resulted in an 800-plus page catalogue with essays about all aspects of international jazz, history, aesthetics, the connection to other art forms and more. Jost advised the city of Darmstadt when it decided to open the Jazzinstitut in 1990, and for many years he was a regular guest at our Darmstadt Jazzforum conference the first one of which (one year before the Jazzinstitut's inception) he had organized himself. Ekkehard also was an excellent baritone saxophone player with a deep admiration for the sound of Gerry Mulligan, a fascination with the risks of free improvisation, and a political consciousness in many of his later compositions, among them a suite of songs from the Spanish civil war. While "Free Jazz" was translated into English right away, his "Social History", "Europas Jazz" and the Darmstadt catalogue sadly never were and thus, even though they offer prime research, hardly were referenced in English-language studies. Ekkehard Jost lived about an hour from Darmstadt; he and his wife were regulars at the Frankfurt Palmengarten concert series. We will miss him as a friend, as a critical supporter and as a strong and insightful partner in discussions about the music. Farewell, Ekki! Last Friday we staged a double JazzTalk concert (or as we like to call it a "Jazz DoubleTalk") at the Jazzinstitut's concert space featuring the Clara Haberkamp Trio in the first half and the Ilona Haberkamp Quartet with guest Ack van Rooyen in the second half. In between, mother and daughter, Ilona (saxophone) and Clara (piano, vocals) talked about inspirations both inside and outside of their family. Last Wednesday the 25th Darmstadt Music Talks started with a film. At our local arthouse cinema we presented a current version of "Nachhall", a documentary about the Summer Courses for Contemporary Music in Darmstadt, and then talked to the film's director, Christian Gropper ( Darmstädter Musikgespräche). This week started with a workshop for venues who plan to apply for the German club award APPLAUS or enroll in a digitization program for live music venues funded by the German government. We welcomed experts from Initiative Musik, the Berlin-based agency in charge of these programs, and interested participants from all over Southern Germany. Wolfram Knauer will give a lecture about "The Subversive Power of Jazz" at the Free Jazz Festival in Saarbrücken next Thursday, 6 April ( FreeJazzSaar). He will travel to New York the next day to take part in a conference and several meetings. Arndt Weidler will be at the Neuer Deutscher Jazzpreis award competition in Mannheim on 8 April for which the Jazzinstitut Darmstadt serves as a cooperation partner. The spring conference of the Institute for Contemporary Music and Music Education will take place in Darmstadt, presenting one of their concerts (Melvin Poore) at the Jazzinstitut's concert space on Friday, 7 April ( Neue Musik). We are looking forward to another JazzTalk concert with the German bassist Sigi Busch and BuschMusic on 14th April ( BuschMusic). We read ... Hartmut Geerken's coffee-table book "Omniverse Sun Ra", Marc Boettcher's biography "Sing! Inge, sing! Der zerbrochene Traum der Inge Brandenburg", Jason C. Bivins' "Spirits Rejoice! Jazz and American Religion", as well as Guillaume Belhomme's "Sales rectangles. Daunik Lazro. Vieux Carré". The review of these and other books can be found on the book review page of our website. 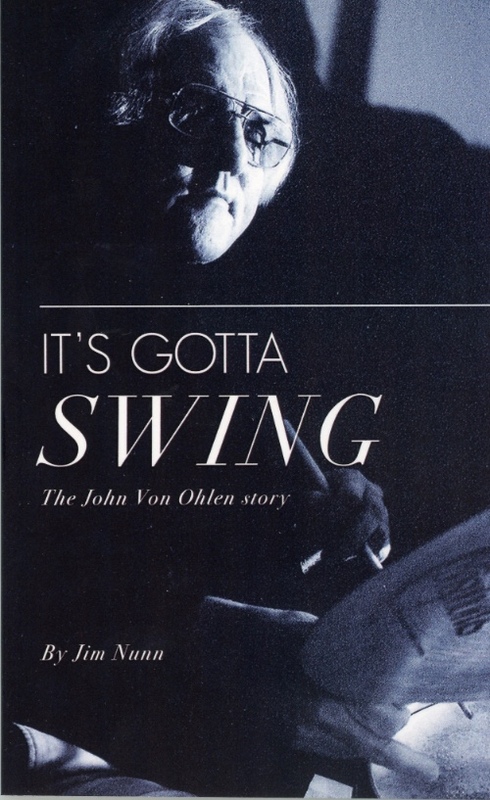 We’re happy to be aware of a book about the life of John Von Ohlen! 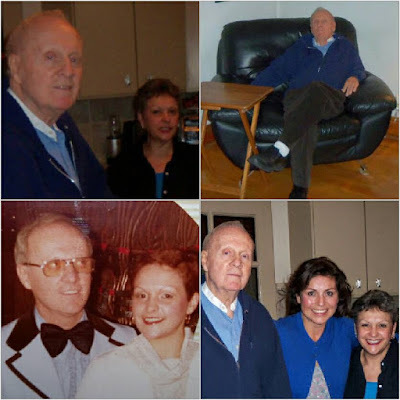 (Jim Nunn) spent two years together; John talked, Nunn listened… & wrote. This book starts when as just a kid Von Ohlen is mesmerized up close by the swinging sounds of Mel Lewis on drums and the Stan Kenton Orchestra. The book covers his professional gigs including playing with Woody Hermann's Thundering Herd, Kenton & the Baron, twenty years with Rosemary Clooney, and Blue Wisp Big Band. The biography steps outside John’s musical career, including his lifelong relationship with Hinduism, and how it has affected every part of his life. 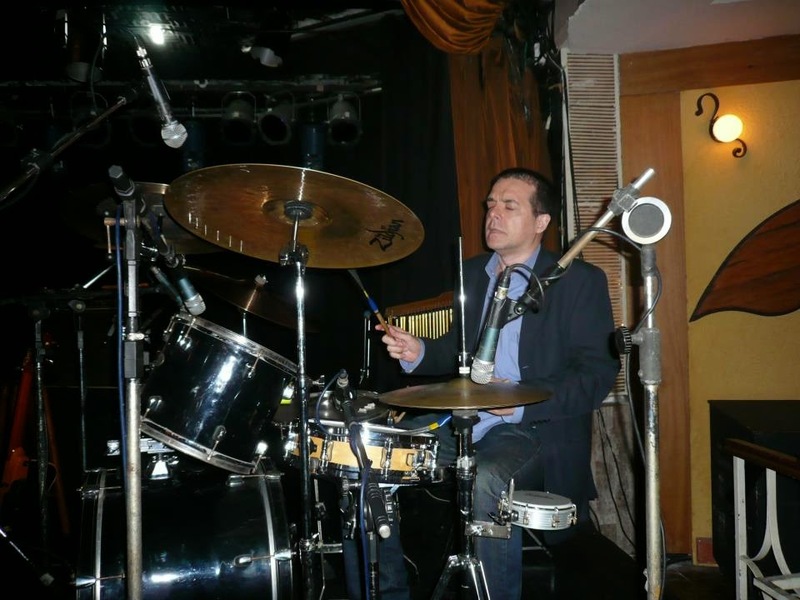 The author is a part time drummer with thirty years-experience in publishing. The author (Nunn) and Von Ohlen were also neighbors in Covington, Kentucky. Working with Von Ohlen became such a personal experience that he published the book on his own. 2 Sets: 8:00 p.m. and 9:30 p.m.
Born on April 09, 1940 in Bahia, the great Brazilian drummer Lula Nascimento died on March 24, 2017 in his native city of Salvador, where he returned to live in the 80s, after many years working in Rio de Janeiro. He was 76 years old. Lula recorded on some legendary albums such as João Donato's "Quem É Quem" (Odeon) and Luiz Melodia's "Pérola Negra" (Philips). 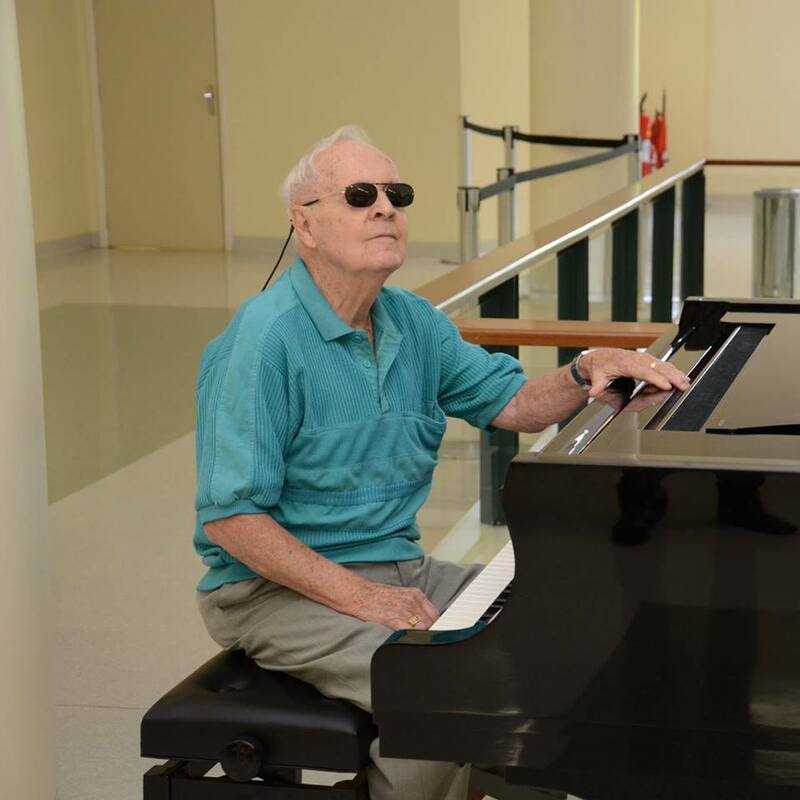 He also appeared on sessions by Laercio de Feritas ("O Som Roceiro," which includes the hit "Capim Gordura") and Taiguara ("Piano E Viola," with arrangements by Gaya and Eduardo Souto Neto). 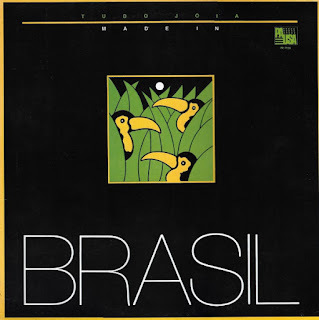 As a member of sax legend Victor Assis Brasil's quintet, alongside with Marcio Montarroyos (trumpet), Alberto Farah (Rhodes) and Paulo Russo (bass), Lula performed on a famous album recorded live in 1974 at the Teatro da Galeria in Rio, with liner notes written by Elis Regina. For over 20 years, Lula Nascimento often performed at the "Jam no MAM" concert series in Salvador, Bahia. Rest in Power. Celebrating the beauty of a dear friend: LA-based German model, trumpeter and musical producer (at Cash Marry Musikverlag) Mary-an Van Stone. She studied trumpet at the Universität der Künste Berlin, and music theory at Hochschule für Musik "Hans Eisler" Berlin e Lee Strasberg Schuhle in LA. 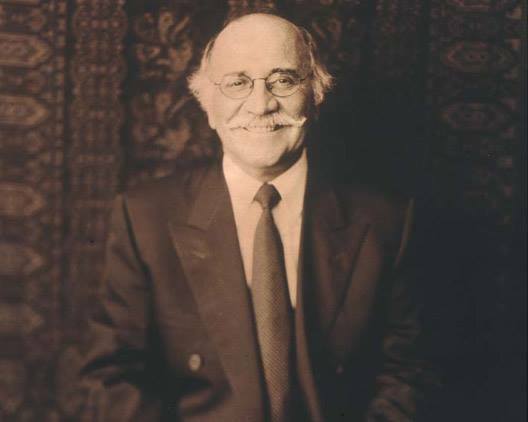 Ser citado no obituário sobre Tommy LiPuma, publicado no website inglês Soul Walking, é uma honra, mas só aumenta minha tristeza pela morte de um dos maiores produtores da história da música. b. Thomas LiPuma, 5th July 1936, Cleveland, Ohio, U.S.A.
d. 13th March 2017, New York, New York, U.S.A. The Record Producer, Tommy LiPuma, has died. Tommy was 80. During his production career, Tommy has collaborated with the likes of Miles Davis, George Benson, Phil Upchurch, Al Jarreau, Anita Baker, Natalie Cole, Michael Franks, Ben Sidran, The Crusaders and Randy Crawford. From Cleveland, Ohio, Tommy worked for A&M Records, Blue Thumb Records and Verve Records. He provided inspiration for others to follow, including John Snyder, Arnaldo DeSouteiro and Larry Rosen. 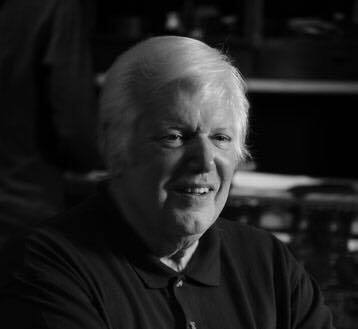 It is with a very heavy heart we have to say goodbye to Jim Czak, great recording engineer and co-owner of Nola Recording Studios in NY. He passed unexpectedly on March 16, 2017. After 75 years, Nola Recording Studios (located at the penthouse of 111 West 57th Street) closed on February 1st, 2014 due to the sale of the building and the impeding construction of a 1,300 ft tower attacged to the Steinway Building. Jim was many things to many people; musician, friend, engineer, confidant, mentor, but, above all, he was truly one of a kind. The world will not be the same without him. I had the honor to meet him and visit Nola for the first time in 1987, through my late friend Gaudencio Thiago de Mello. Guess who was recording a jingle there? Don Sebesky! St Charles cemetary in Farmingdale, NY thereafter. 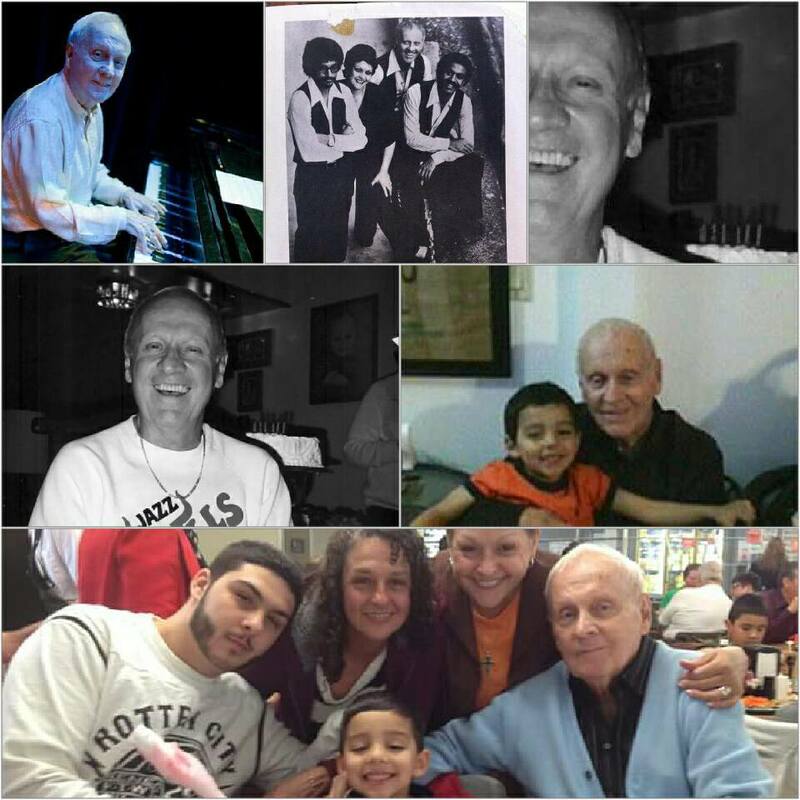 Thank you all for the outpouring of love for Jim and his family. A Scott Galloway already said almost everything in a terrific text posted on Facebook about such terrible news. I own a copy of the Breezin' reissue he has mentioned, with bonus tracks and Gallaway's brilliant set of liner notes. I only would like to add that a few years ago (2011, I think) I've attended a gala tribute to LiPuma at Montreux Jazz Fest with Diana etc to celebrate his 75th birthday. 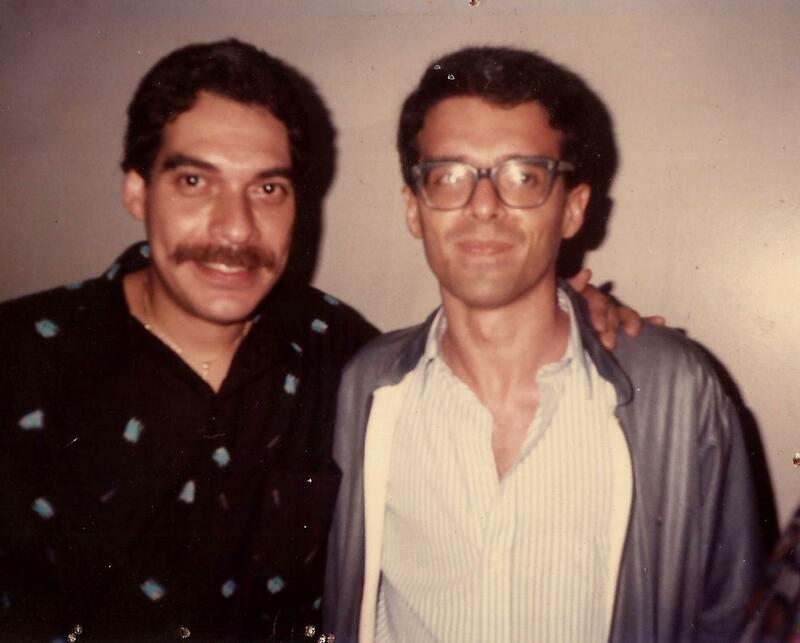 Met him for the first time in my teens when he came to Brazil to record some tracks for Michael Franks' "Sleeping Gypsy" (one of my desert island discs) in Rio with my friends Joao Donato (with whom he had worked on "A Bad Donato" during the Blue Thumb years) and the late Joao Palma, among others. Later we met in the early 90s in NY during his period at GRP, and finally in LA during Diana's sessions and, for the last time, in Montreux. Btw, I still dream with an enhanced reissue of Sleeping Gypsy, to which Claus Ogerman later overdubbed strings & flutes in LA, since there are many unreleased tracks in the vaults of Warner Bros. I can assure you that the death of Claus Ogerman had a big impact on him. They were best friends. Tommy had already retired a couple of years ago, but agreed to do a short comeback to produce Diana's next album, "Turn Up The Quiet," to be released on May 5. Her jazz comeback album, after two recording disasters. Without Tommy there would be none of the albums recorded by Claus after "Gate of Dreams", none of Claus' meetings with Michael Brecker, no Tutu, no Amoroso, none of the best albums ever by Michael Franks and Al Jarreau. No Diana Krall either. Tommy's favorite album ever was "Bill Evans Trio With Symphony Orchestra", produced by Creed Taylor, a huge influence on his career, and now the only legendary jazz producer still alive. RIP. My condolences to his wife Gill and all his family. 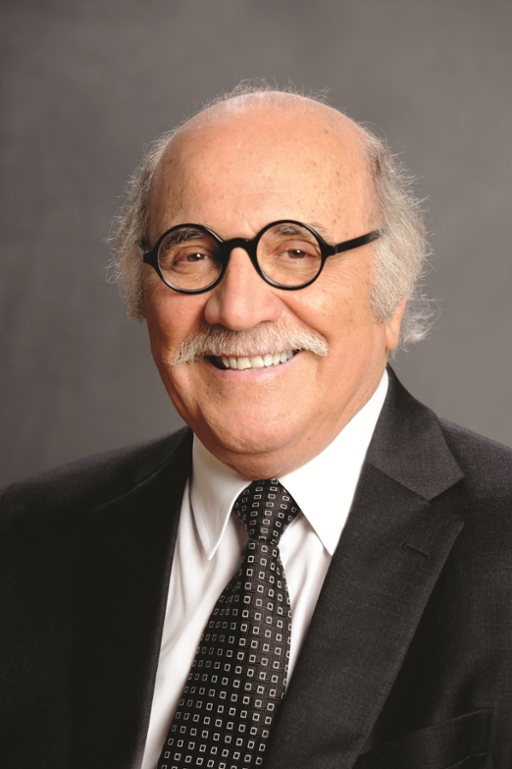 Morreu ontem, aos 80 anos, Tommy LiPuma, um dos maiores produtores da história da música. (Talvez o melhor depois de Creed Taylor, que foi seu "muso inspirador"). Imagine o mundo sem "Amoroso" (João Gilberto), sem "Breezin'" (que catapultou George Benson para o estrelato pop através da faixa "This Masquerade"), sem a gravação de Benson para "On Broadway", sem "Gate of Dreams" e nenhuma das outras obras de arte gravadas por Claus Ogerman depois de 1977. 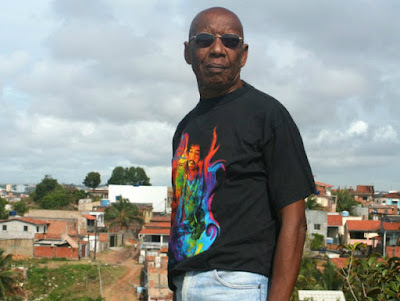 Sem "Tutu" de Miles Davis, sem "Look To The Rainbow" (e a famosa gravação de "Take Five") de Al Jarreau. Sem "A Bad Donato", pois Tommy e Bob Krasnow (falecido no ano passado) foram os responsáveis por contratar João Donato para o selo Blue Thumb, do qual eram donos. Imagine o mundo sem "Sleeping Gypsy" e nenhum dos grandes discos gravados por Michael Franks. Imagine o mundo sem os fabulosos "When I Look In Your Eyes" e "The Look of Love" de Diana Krall, que fizeram a vendagem da cantora pular de 150 mil discos para mais de 2 milhões. Pois é. O mundo teria sido bem pior sem Tommy LiPuma. Claro que vai aparecer algum engraçadinho imbecil para debochar de alguns desses artistas e discos citados. Mas, coitados, nasceram sem sensibilidade e, como dizia Bonfá, "sem alcance". Ah, o disco preferido de Tommy era "Bill Evans With Symphony Orchestra", produzido por Creed Taylor, agora o único grande produtor de jazz ainda vivo. Ah #2: da mesma forma que Tommy salvou Diana Krall de ser dispensada da gravadora quando trouxe Johnny Mandel e apostou tudo em "When I Look In Your Eyes" (1999), ele saiu de sua recente aposentadoria para salva-la novamente e produzir, depois de dois equivocados trabalhos, o seu retorno ao estilo que a consagrou, concebendo "Turn Up The Quiet" que será lançado no dia 5 de maio. Segue a matança. 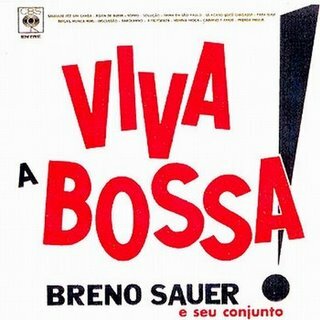 Acabo de receber a notícia do falecimento, neste domingo, 12 de Março, do pianista, vibrafonista, acordeonista, compositor e arranjador Breno Sauer, um dos mais subestimados músicos brasileiros dentre os que optaram por residir no exterior. Morando desde 1974 em Chicago, onde comandava informalmente a cena jazzístico-brasileira atuando em prestigiados clubes como o Jazz Showcase, Breno era gaúcho de São Sebastião do Caí, cidade de colonização alemã a 60 quilômetros de Porto Alegre, onde nasceu em 3 de Novembro de 1929. Começou no acordeon, fascinado por Art Van Damme, depois adotou o vibrafone e finalmente passou para o piano. No Brasil, além de acompanhar Agostinho dos Santos, gravou vários discos como líder para os selos Columbia, RGE e Musidisc (vejam as capinhas no post abaixo; alguns foram relançados em CD na Europa). Mudou-se para o México em 1967, onde também gravou com Leny Andrade e com o Primo Quinteto (do pianista João Peixoto Primo), no qual atuou como vibrafonista e arranjador, ao lado do baixista Ernoe Eger e dos meus amigos Claudio Roditi no trompete e Portinho Drums na bateria. 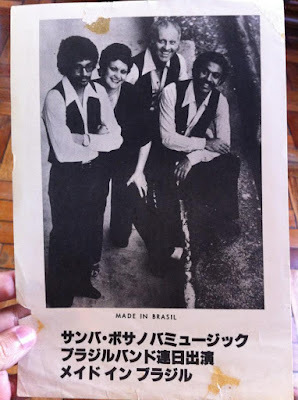 Nos EUA, alcançou sucesso nas rádios de jazz com o álbum "Tudo Jóia", liderando seu grupo Made In Brasil, que contava com sua esposa Neusa Sauer no vocal e Paulinho Garcia no baixo, e com o qual excursionou pelo Japão. Antigamente se dizia: "E lá vai a música brasileira para o mundo". Hoje, só resta dizer "E lá se vai a música brasileira que rodou o mundo"... Meus sentimentos a Neusa Teresa Sauer, sua esposa por 53 anos. 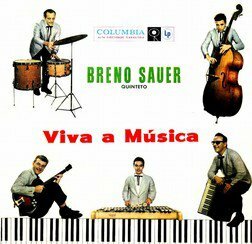 "I came to Chicago on May 1st, 1979 to be part of Breno Brazilian sounds, we played in a first class Mexican restaurant named Acapulco, by Belmont/Clark Avenues. The band was then composed by Breno on piano, Dede Sampaio on drums, myself on bass and lead singer Neusa Sauer. Geraldo de Oliveira was always along thru my years with the group. 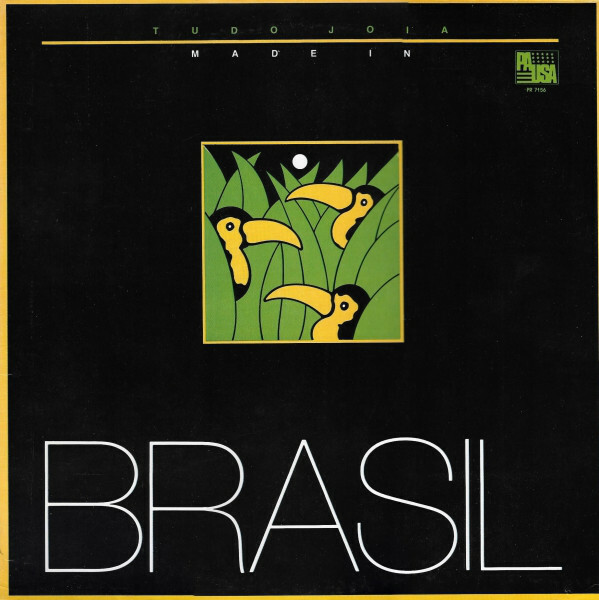 With the addition and help of the British guitar player, Peter Budd, we started our way into the jazz circuit, and the name was changed to Made In Brazil. Later, another change in the name, the group became Som Brazil. The group started being recognized and after our trip to Japan, the group composition started changing and the core group became Breno, Neusa and myself. Along came great additions of first rate Chicago musicians. On September 1, 1982 we played for the Chicago Jazz Festival, Breno, Neusa and myself with the addition of Akio Sassajima on guitar, Ron Dewar on sax, phill Grateau on drums and Roberto Sanches on percussion. We held a 13 years weekly gig at the famous club The Jazz Bulls. I like to separate the group in eras, the Akio-Ron Dewar era, the Ernie Denov-Steve Eisen era, the Peter O'Neil era, David Urban, etc. Mark walker took on the drums drums after Phill and Ed Petersen became our saxophonist after Steve Eisen, if I remember correctly. 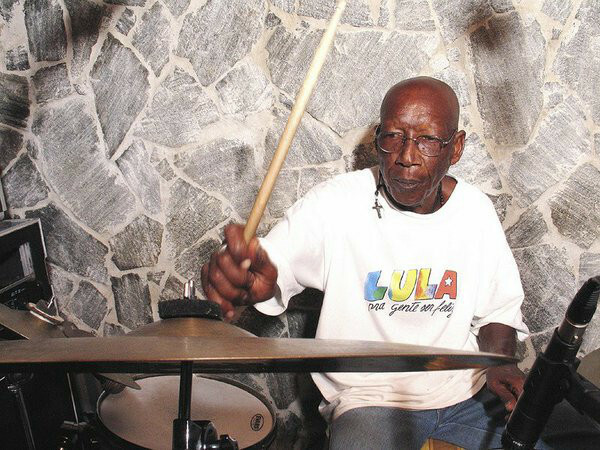 Luís Everling, like me, was brought from Brasil to be the new drummer. Almost every great Chicago musician sat in with us, such as: the very young Fareed Haque, Howard Levy, Alejo Poveda, Thomas Kini, John Campbell, Kelly Sill, Manfredo Fest, to mention a very few, even Michel Petrucciani and Freddie Hubbard played a couple of songs with us. 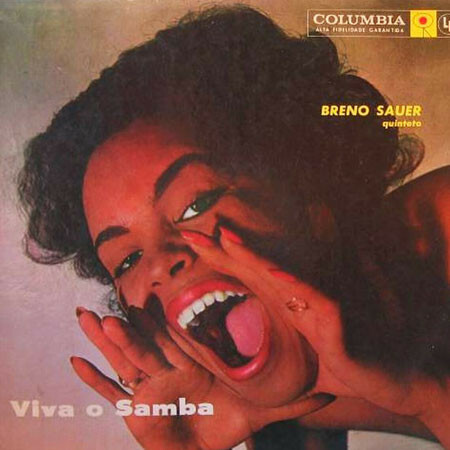 Breno's music was respected and admired by all. I left the band after 14 years to pursue my solo guitar/vocalist career. Great memories, and life was good. 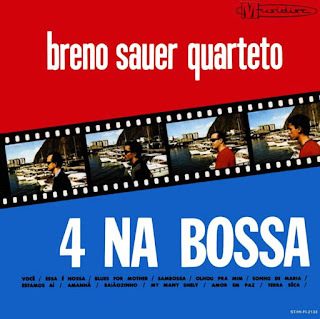 Thank you Breno for a wonderful 14 years of music and support." 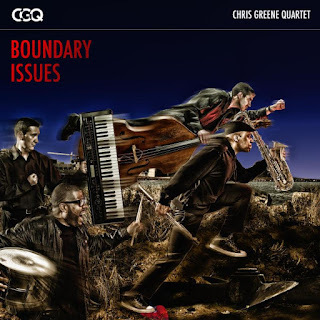 Saxophonist Chris Greene, a fixture on the Chicago scene dedicated to transcending the stylistic and structural borders of jazz, continues to discover new musical territory on his new CD "Boundary Issues." 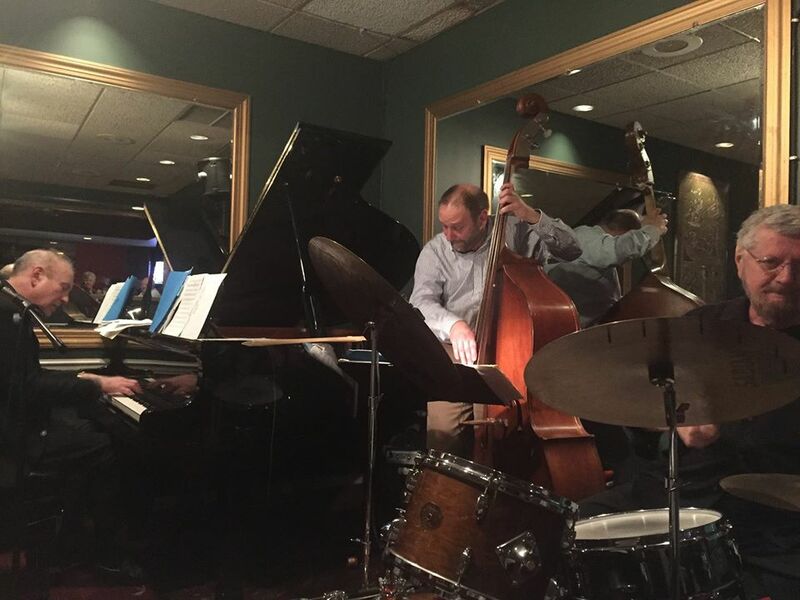 Set for April 14 release on Single Malt Recordings, the album is Greene's eighth with the long-standing quartet he formed in 2005 featuring pianist Damian Espinosa, bassist Marc Piane, and, since 2011, drummer Steve Corley. Joining the core quartet as guests on several tracks are saxophonist Marqueal Jordan, known for his work with smooth jazz star Brian Culbertson; percussionist JoVia Armstrong, who's played with Nicole Mitchell's Black Earth Ensemble and JC Brooks & The Uptown Sound; guitarist Isaiah Sharkey, a member of D'Angelo's band; and vocalist Julio Davis (aka DJ WLS). 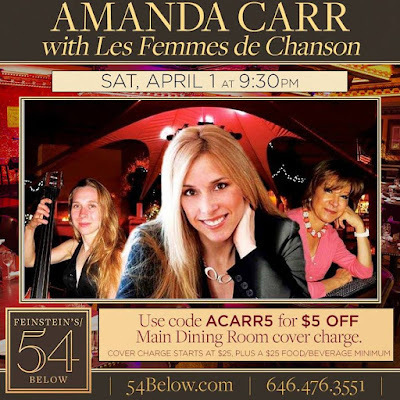 Greene's eclectic song selection, inventive arrangements, and choice of guests not normally associated with jazz perfectly coalesce to present a portrait of an artist unafraid to take the road less traveled, push the envelope, and explore the frontiers of jazz. In addition to three originals, Boundary Issues includes creative covers of works by Horace Silver ("Nica's Dream"), Kenny Kirkland ("Dienda"), Yellowjackets ("Summer Song"), and Billy Strayhorn ("Day Dream"). As his previous treatments of songs by artists as diverse as Madonna, Coltrane, Sting, Mingus, and lounge music king Martin Denny attest, Greene's naming his latest album Boundary Issues could be viewed as a tongue-in-cheek self-diagnosis. "I have a hard time staying in place," he confides. "I don't know my place, I guess, which is why I'm always stepping outside so-called boundaries. With the music I like, I just can't help thinking, what would it sound like if I did this, or this?" 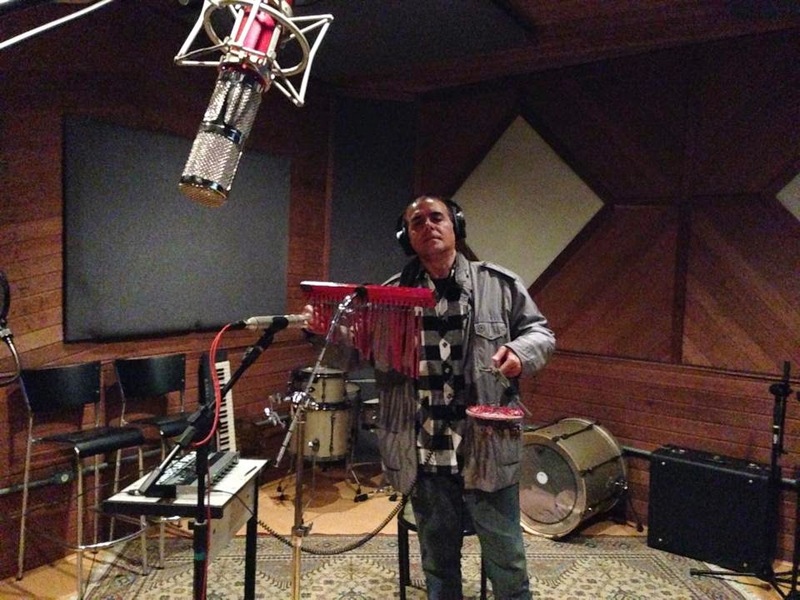 A case in point is his spacious reggae version of Horace Silver's "Nica's Dream." "I thought the biggest tribute to him would be to do something different," says Greene. "The idea to cover that classic as a reggae tune came to me while I was listening to music in the shower. It was like, why not?" Born in 1973 in Evanston, Illinois, Chris Greene was exposed to a lot of music at home but only a smattering of jazz. His mother blasted Motown at her monthly card parties while his father played a lot of funk, soul, and disco; he absorbed all manner of pop styles watching MTV. 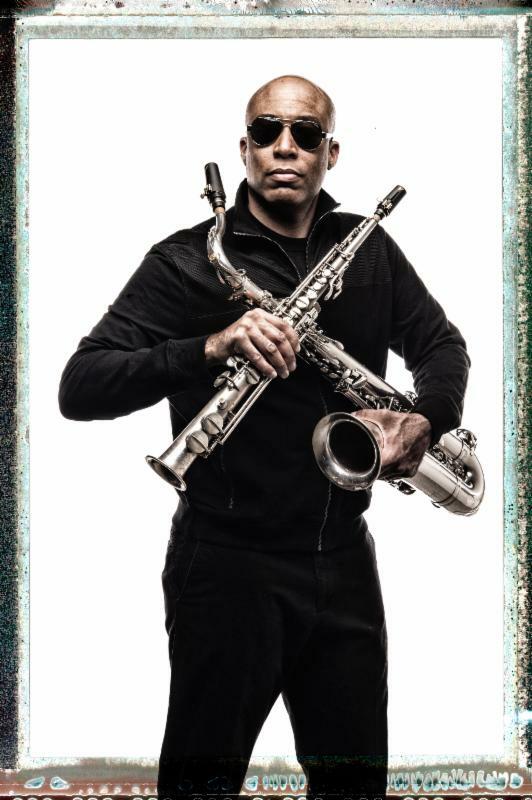 Taking up the sax at age 10, he began studying it seriously when he was 16, "playing the hell out of a blues pentatonic scale," he recalls. He mainly played alto in the well-regarded Evanston High School Wind & Jazz Ensemble, as well as with local bands including a rock unit called Truth. "They were into Sting and I was eager to be their Branford [Marsalis]," he says. He would eventually play acid jazz with bands like Liquid Soul and Ted Sirota's Heavyweight Dub Band. Greene studied at Indiana University with the late David Baker and the current jazz studies department chair Thomas Walsh. "It was a great experience for me," he says. "I was a kid with a lot of natural talent, but with a lack of discipline. I learned how to practice, how to break things down, how to solve problems." Upon his return to Chicago, he continued his education by reaching out to established artists including Steve Coleman. "He was hard-headed in his determination to play music his way," he says. "It was a huge eye-opener for me how he put things together." Greene also got a major boost from Coleman's legendary mentor, Chicago tenor legend Von Freeman, at one of his famous jam sessions: "He didn't know me from Adam, but he was very encouraging. He said, 'Hey, I hear what you're trying to do. Keep at it.' That meant so much." In 2005, Greene formed his current quartet. Whether the group is hugging tradition or engaging in experimentation, it radiates a deep sense of well-being. With each release, Greene has moved steadily from funk mildly seasoned with jazz to uncompromising jazz boasting subtle funk touches. As witness the title of the quartet's 2012 album, "A Group Effort," Greene prizes the band's ability to think and feel as one, to "leave fingerprints on each other's playing." 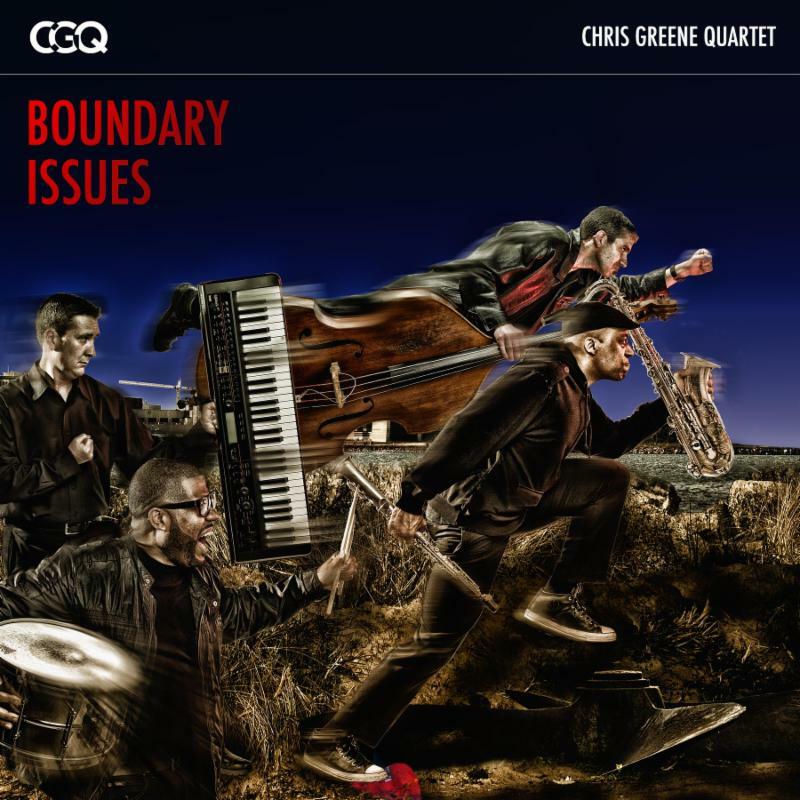 The Chris Greene Quartet will be celebrating the release of "Boundary Issues" at the following Midwest engagements: 4/21 Constellation, Chicago; 4/28 Gibraltar, Milwaukee; 5/1 La Principal, Evanston, IL; 5/20 Winter's, Chicago; 5/30 Promontory, Chicago; 6/9-10 Pete Miller's, Evanston, IL; 6/17 Noce Jazz, Des Moines; 6/18 Custer St. Festival of the Arts, Evanston; 7/5 Jazzin' at the Shedd (concert series at Shedd Aquarium, Chicago). R.I.P. 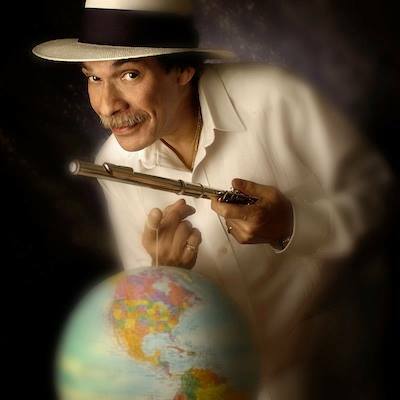 : Dave Valentin (1953-2017), um dos maiores flautistas da história do jazz. E o melhor da geração pós-Hubert Laws. O massacre da serra eletrica não para. A quantidade de amigos que perdi nos últimos 4 anos é um absurdo. Só este ano já se foram Al Jarreau, Larry Coryell e agora Dave, sem contar outros ídolos como Leon Ware e Chuck Stewart que não cheguei a conhecer pessoalmente. Culture Shock Music announces the May 19, 2017 release of "LifeCycle," the debut recording from guitarist-composer Alex Wintz. Co-produced by trumpeter and bandleader Etienne Charles, it is a journey into the creative mind of one of jazz's most in-demand young guitarists. 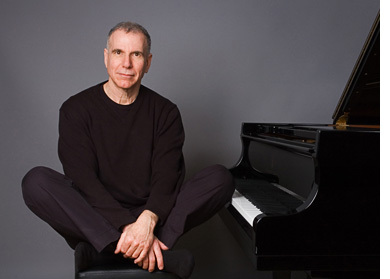 To celebrate the release, Wintz will be performing at four major venues in the New York City/Tri-state area, Smalls Jazz Club on May 17, Shanghai Jazz on May 19, Bar Next Door on May 20, and Rockwood Music Hall Stage 3 on May 21. A resident of Brooklyn, New York and a graduate of both the Juilliard School and Berklee College of Music, Alex Wintz has honed an original voice on the guitar by embracing disparate genres of jazz and beyond into an authentic and organic fusion. Lauded as a frequent collaborator with groups such as Etienne Charles and Creole Soul, Ben Williams and Sound Effect, The Roxy Coss Quintet, and Peter and Will Anderson Trio he has spent the past decade maintaining a busy performance schedule, gracing the stage at some of the world's most renowned clubs and festivals including the Monterey, Montreal, Montreux, Java Jazz, Newport, and Rochester Jazz Festivals. 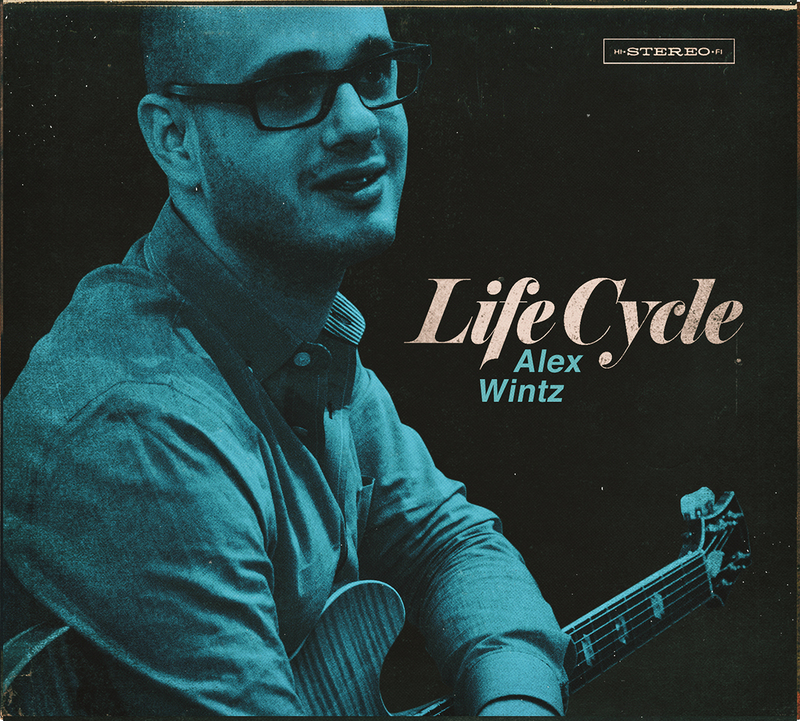 "LifeCycle" combines Alex Wintz's unique original compositions with a supporting cast that features some of jazz's young all-stars. The final product being a singular musical statement that speaks directly to our times. 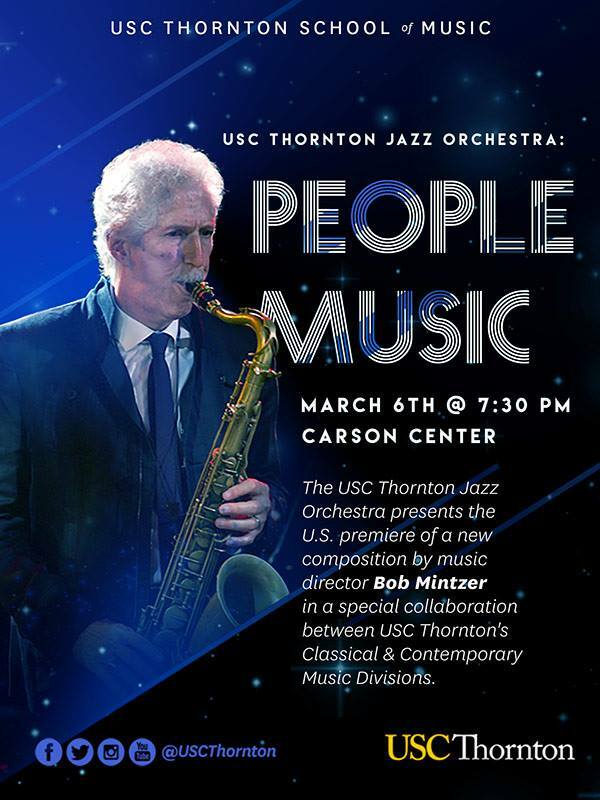 This group of musicians includes some of Wintz's closest musical collaborators, tenor saxophonist Lucas Pino, percussionist Jimmy MacBride, pianist Victor Gould, and bassists Dave Baron and Ben Williams. Like Alex Wintz, these artists owe great gratitude and respect to the masters of the music while keeping a keen eye toward the future. The open-mindedness with which he pursues his career has created a distinctive musical universe which is now available to the world in this debut release. Known as an artist who brings a strong conviction to the musical proceedings, Wintz credits this in large part thanks to his exploration and embrace of numerous musical genres. The music on "LifeCycle" paints a picture of the joy, sorrow, and celebration in everyday life, conveying it in a way that reaches not just the average jazz listener but all those who appreciate honesty in music. 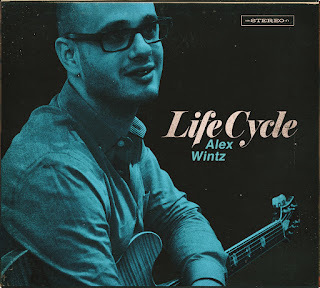 One of the most striking aspects of "LifeCycle" is Alex Wintz's original compositions. Each piece varies greatly in mood and imagery from Warp Records-inspired drum and bass grooves ("Seeing Distance"), to raucous juke joints of the coast of South Carolina ("The Low Country") and from Sigur Ros inspired soundscapes ("Locust Avenue"), to odd-meter ostinatos, harkening to Brad Mehldau and Miguel Zenon ("LifeCycle"). In addition, Alex Wintz handpicked for "LifeCycle" two standards, "Sweet and Lovely" and "I Don't Stand a Ghost of a Chance", which are given their proper due thanks to Wintz's drive and desire to properly pay homage to the masters of jazz artists who inspired him at a young age. These heroes to Wintz include legendary figures in the jazz idiom such as Wes Montgomery, Jim Hall, Kenny Dorham, and Ahmad Jamal to name a few. The constant melding and shaping of new styles into a whole only happens successfully when it happens naturally, minute-by-minute, hour-by-hour, day-to-day. This is the vision of "LifeCycle", to seek to be a musical testament to always being aware and awake to so much beauty and life that is around the human race, perpetually churning and evolving within us all. 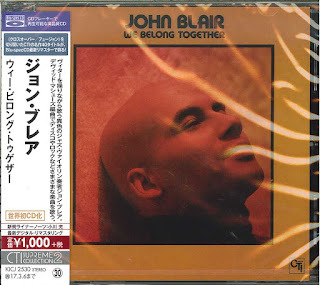 Blu-Spec Jazz CD of the Month - "Yusef Lateef: In A Temple Garden"
Blu-Spec Pop CD of the Month - "John Blair: We Belong Together"
Released on CD for the very first time! 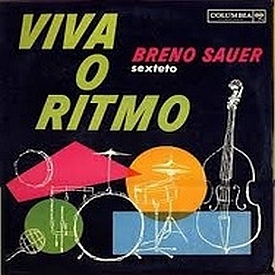 Featuring: John Blair (vitar & lead vocals), Googie Coppola (vocals), Clifford Carter (piano, Fender Rhodes & synthesizers), Gary King (electric bass), Steve Gadd (drums), Sue Evans & Ray Mantilla (percussion), Hiram Bullock (electric guitar), Hugh McCracken (harmonica), Irene Cara, Kim Carlson, Gordon Grody & Jocelyn Shaw (backing vocals). According to CTI supreme historian Doug Payne, "the CTI album is a strange mix of old rock tunes like "Roll Over Beethoven" and "Lucy in the Sky With Diamonds," peppered with an odd preponderance of tunes from England Dan and John Ford Coley ("We Belong Together" and "Don't Feel That Way No More" come from the duo's 1977 album Dowdy Ferry Road) and that duo's hits-writing guy, Parker McGee (who wrote "I'd Really Love to See You Tonight" and "Nights Are Forever Without You" - here with two tracks from the author's eponymous 1976 album, "Got That Feeling" and "Feather Lite & Honey Smooth"). Only Blair's own disco-y original "I'm A Wizard" even registers on the David Matthews-arranged CTI album. A hit that never was. But then, sadly, John Blair mysteriously disappeared from the musical radar..."The Master Creed," the electric violinist's only CD issued by the artist himself in 2004, was his fourth and final solo album, when Blair began to call himself John Ellington Blair to tap into his distant relationship to Duke Ellington." Born November 8, 1943 in Toledo, Ohio, Dr. John Blair grew up in California and began taking violin lessons as a child, graduating with honors from Lincoln High School in San Diego in 1961. Blair became a heavy academic, holding degrees from Eastman and Curtis conservatories. He even founded a school named The Universal Natural System. A talented violinist and singer, Blair also created the Vitar, a combination of violin and guitar. He was featured on many jazz funk in the 70's and released a few sought after psych-funk releases on Mercury, Columbia and CTI. "Talented and handsome violinist John Blair (1943-2006) had a sadly limited career. He was a creative and interesting violinist who had a hand in inventing and/or attempting to popularize an electric violin known as the Vitar, a cross between a violin, a viola and a guitar, that probably didn't become all that famous because it sounded like, well, an electric guitar. Somehow, Don Sugarcane Harris and Jean-Luc Ponty made much greater names for themselves on the violin in the jazz world at the time - one as a cult fave and one as a pop phenomenon - than the unfortunate Mr. Blair. 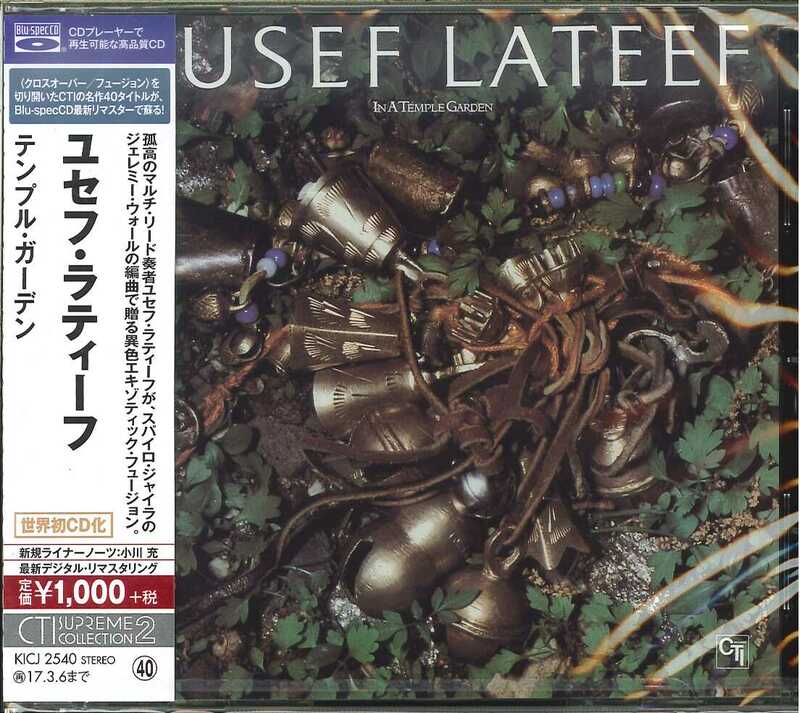 There were also fusion albums by violinists Michael Urbaniak, Didier Lockwood and others at the time. Perhaps John Blair just never had the opportunities the others had. Who knows. Blair's work can be heard on a rather too-short list of jazz albums including vibist Freddie McCoy's Funk Drops (Prestige, 1966), Harold Vick's Watch What Happens (RCA, 1967), Alice Coltrane's Universal Consciousness (Impulse, 1971), Leon Thomas' Blues And The Soulful Truth (Flying Dutchman, 1973), Esther Phillips' Capricorn Princess (Kudu, 1976) and Mongo Santamaria's Dawn (Amanecer) (Vaya, 1977) - more in the background, though, than as someone with the strong voice John Blair truly possessed. 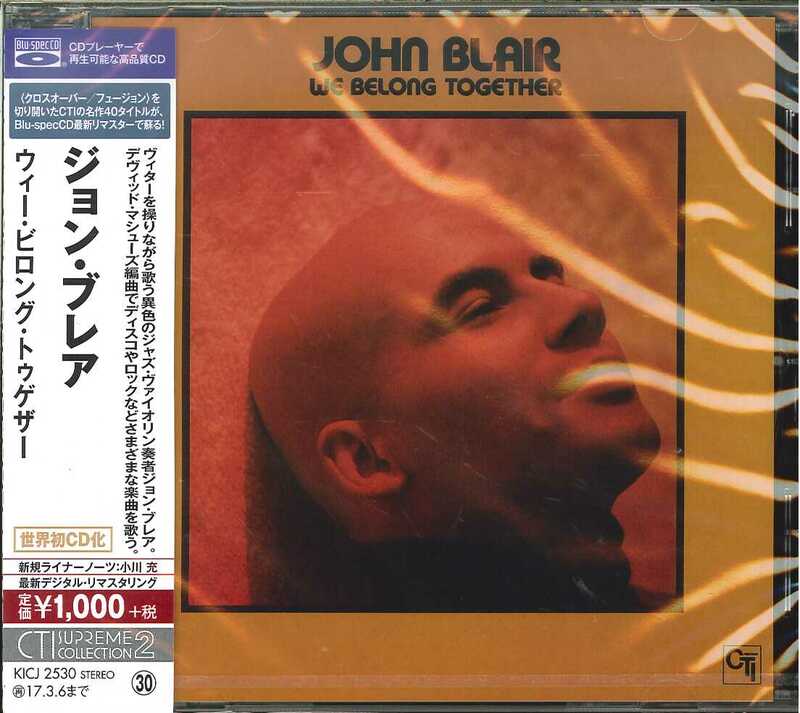 Blair is also featured, however briefly, on Lalo Schifrin's theme to the short-lived TV series "Most Wanted," which appeared on the composer's album Towering Toccata (CTI, 1977). "I've used an electric violinist [here] who is fantastic," Schifrin enthused in a November 27, 1976, Melody Maker article. "His name is John Blair. He uses a five-string violin which goes to a low C like a viola. He plays very soulful, like Jean-Luc Ponty only more funky." John Blair died on June 3, 2006 of heart failure in New York, NY, at age 63. Great concert tonight at USC in Los Angeles. Sax master, composer and arranger Bob Mintzer will be performing a brand new three movement piece for solo violin, cabinet, tenor sax, and the Thornton Jazz Orchestra. Free admission. Don't miss! 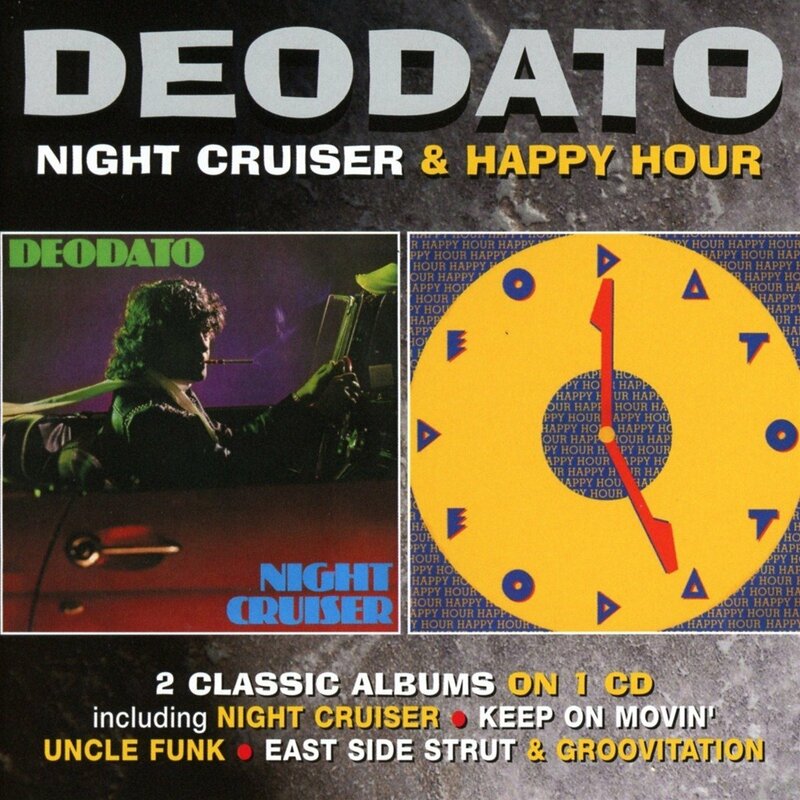 CD Reissue of the Month - "Eumir Deodato: Night Cruiser & Happy Hour"
UK-based label Robinsongs, a division of Cherry Red, is reissuing on one CD the two last albums that Deodato recorded for Warner Brothers in the 80s: “Night Cruiser” and “Happy Hour," two jazz-funk trips. 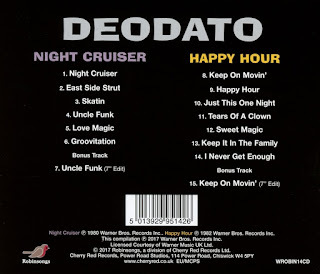 It is not a coincidence that the '80s had been a hectic decade for Deodato which had seen plenty of outside production projects, and they were mostly R&B acts such as Kool & The Gang, Con Funk Shun, Juicy, One Way, Gwen Guthrie and the Dazz Band. “Night Cruiser” was originally released in 1980, The lead-off title track "Night Cruiser" begins with syncopated chords from a solo electric piano that initiates a four-on-the-floor disco-funk groove, the tune is a vibrant, get-down party piece that filled dance floors back in 1980. It was issued as a single (in both 7- inch and 12-inch formats) and rose to #23 in the US dance charts. 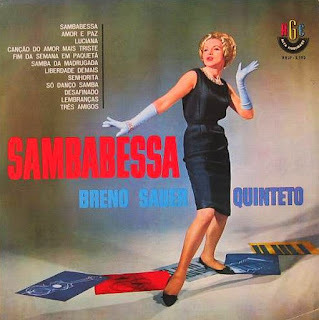 The album also features the stand out tracks "East Side Strut" (co-written by Deodato and Os Mutantes' founder Sergio Dias Baptista, also featured as a guitarist) and "Uncle Funk" (a theme by Banda Black Rio's bassist Jamil Joanes originally recorded as "Mr. Funk Samba".) As a bonus track you get the 7” version of "Uncle Funk." 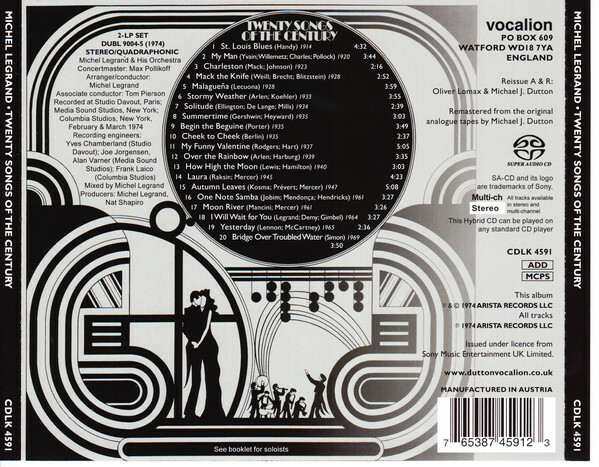 Musicians from Kool & The Gang and Platinum Hook (Deodato was producing their last album for Motown, which, btw, was completed but never issued) are heard throughout the album, along with drummer Stephen Daniels, percussionist Jimmy Maelen, bassist Gary Grainger and guitarist Ray Gomez. 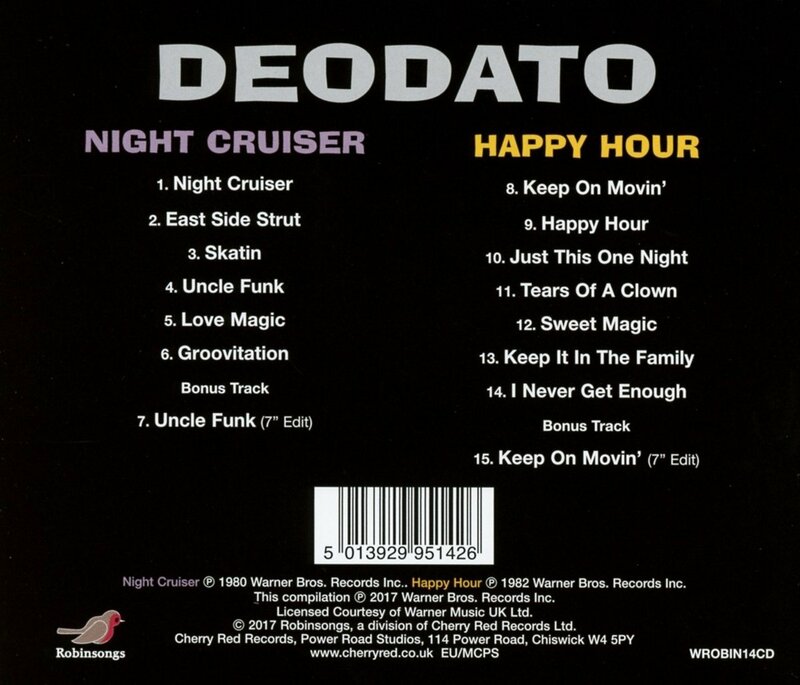 The “Happy Hour” album was released in 1982 and features the track "Keep On Movin'", a Deodato original that has been sampled by several dance and hip-hop artists (including Olav Basoski and Le Tropical). The track was the first single from “Happy Hour” (it came out in both 7-inch and 12-inch formats with my favourite track "Keep It In The Family" on the B-side) in the spring of 1982 and dented the US dance charts, stalling at #41. The 7” version is included in this package as a bonus track. Deodato shares the keyboards with Mark Cohen, now known as Marc Copland. "Happy Hour" was issued as the second single from the album in June 1982 and was something of a minor crossover hit, But it blew up even bigger in the American dance charts. You can definitely hear the influence for the 80’s Kool & The Gang albums within "Happy Hour," but adapted by the vision of brother and sister Jerry Barnes & Katreese Barnes, founders of Juicy. Kelly Barretto, daughter of legendary conga player Ray Barretto, is the featured singer in most of the tracks. Cellist Kermit Moore contracted the string section, while Nelson Rangell plays alto sax on Smokey Robinson/Stevie Wonder's "Tears Of A Clown." Marcos Valle and Leon Ware co-wrote "Just This One Night," a mellow funk tune. There's only one instrumental track: "Sweet Magic," a pretty theme with Deodato on the Fender Rhodes. Vinyl of the Month - "Freddie Hubbard: Red Clay"
Recorded & Mixed by Rudy Van Gelder @ Van Gelder Studios. Recorded January 27, 28, 29, 1970. As the label’s first release, "Red Clay" established the soul-jazz-funk template Creed Taylor’s CTI imprint would follow for the next decade. Joined by the likes of Herbie Hancock, Joe Henderson, Ron Carter and Lenny White, Freddie Hubbard lays down bluesy hard-bop epiphanies, turning in one of his most memorable albums as a leader. 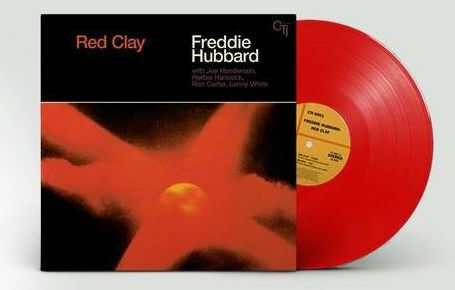 "Red Clay" includes four great tunes composed by Hubbard: Besides the title track, which became a contemporary jazz standard, includes three other gems: "Delphia" (a gorgeous ballad dedicated to his mother, with Herbie moving to organ and Henderson playing flute), "Suite Sioux" and the explosive hard-bop "The Intrepid Fox." A CTI classic! An amazing 2-disc set release, with a deluxe 16-page booklet, by the São Paulo-based pianist, composer, arranger and singer Vitoria Maldonado. Both the CD and the DVD "O Que Está Acontecendo Comigo" (What Is Happening To Me) include 11 tracks, with an extra "making of" on the DVD. "The DVD was filmed during the recording sessions, so that the listener could meet all the musicians involved in this project, and feel the thrill and happiness we had making it," Vitoria writes on the liner notes. 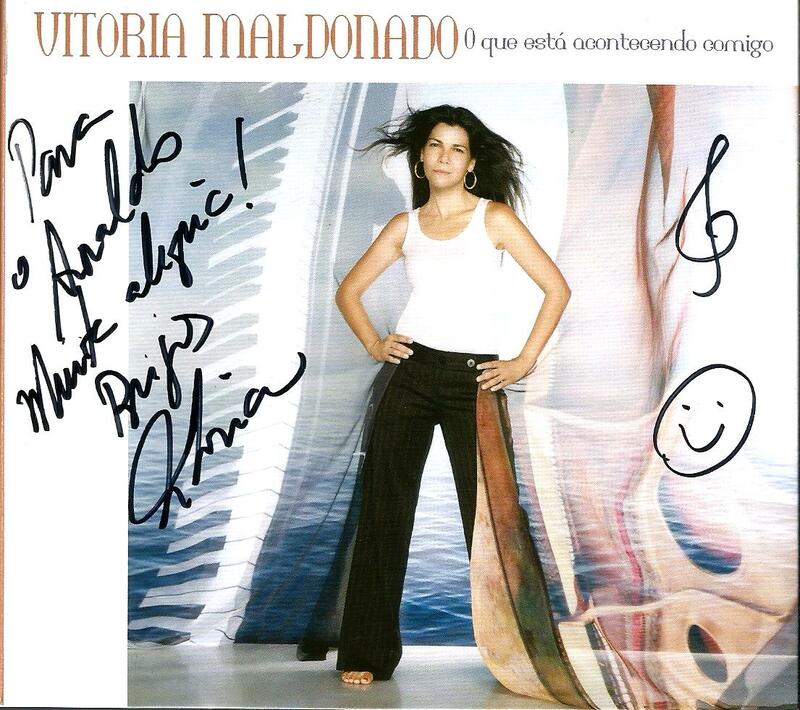 Vitoria Maldonado's style reflects the Bossa Nova romanticism added to the jazz sophistication, an influence from the years she studied at the Berklee College of Music, from where she gratuated in 1986. 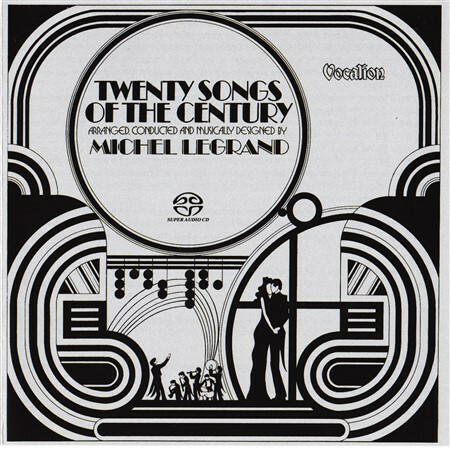 SACD of the Month - "Michel Legrand: Twenty Songs Of The Century"
One of my desert island discs. A wondrous project, originally released as a 2-LP set with gatefold cover. A lesson in orchestration provided by one of the world's greatest arrangers. 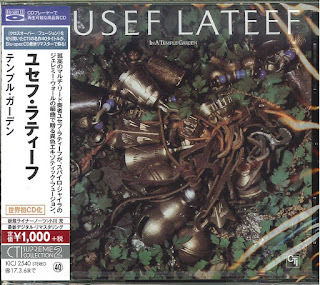 The album concept was/is very challenging, but Legrand succeded in all aspects, leading a 60-piece orchestra with tremendous soloists such as Phil Woods, Toots Thielemans, Marvin Stamm and Eddie Daniels soloing brilliantly on top of a equally brilliant rhythm section (Ron Carter, Grady Tate, Airto, Gene Bertoncini). All of the 20 great songs appear on a way you've never heard them before, I swear! From W.C. Handy's "St. Louis Blues" to Antonio Carlos Jobim/Newton Mendonça's "One Note Samba" (Samba de Uma Nota Só) on which Legrand performs an unbelievably astonishing solo using two acoustic pianos, as if in a duet with himself, propelled by Airto's intoxicating batucada breaks. 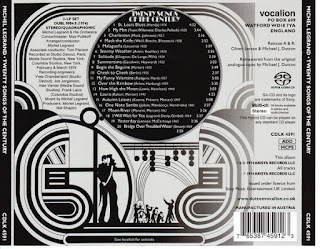 The "multi-channel" effect of this SACD actually is the original quadraphonic mix from 1974, since the vinyl was released both on stereo and quad albums. A stereo K2 24-bit remastered CD had been already released in Japan in 2004 by BMG. The masterpiece of the masterpieces. Jazz CD of the Month - "Mark Whitfield: Grace"